Orchard Bank Credit Cards - A Good Option? Check out the Orchard Bank credit cards, is something I heard when I first started our credit repair journey. Why, because Orchard Bank, has secure credit cards that you can use as part of your credit repair task. However, after looking at the fees, it can totally discourage you. I did check into them myself and I must say I wasn’t very pleased. There is nothing I don’t like more than a credit card with annual fees for no reason. Why am I against annual fees, you might ask. When you are working toward credit repair, you have to remember that one of the key factors in determining your credit score is the longevity of your credit. So when you apply for a credit card, you want to be sure that you are thinking long term. Do you plan to keep the card for a long time? You should plan on it. Because you want to keep the length for time for your credit lines as long as you can. The longer term the line of credit, the better it is for your credit score. If you plan to get one of the Orchard Bank credit cards, then you will pay an annual fee for the life of the card. So, if you kept this card for long term, say 15 or 20 years, you could end up paying over $1000 dollars just in annual fees. Sidenote: I do have an unsecured card for which I happily pay an annual fee, however, I get points back which translate into dollars that more than make up for the annual fee. For me, this was a wise financial choice. Although for secure credit cards, the Orchard Bank credit cards offer a low interest rate initially. However, the interest rate rises dramatically when your payment is overdue. So, not only is the annual fee a deterrent but if you are late with a payment---not matter what the reason, your interest rate goes to almost 30% --- OUCH! Orchard Bank credit cards can get quite expensive. Since I did not like what Orchard Bank had to offer, I went looking for a better offer for a secure credit card. The best offers I found were through local credit unions. When you get a secured card at the credit unions, you put 100-125% of the credit limit into a savings account that you can’t touch. That’s why the card is called secured. The balance on the card, if it becomes delinquent, can be paid by what you put into the savings account so the credit union feels safe with the risk. Once you have shown good payment history, typically a couple of years, then the secure funds are released to you to use as you wish. Best of all, no annual fees or high interest rates. There are a few other banks that offer secured cards but the funds are never released. So as long as you have the card, they have the funds. We applied for a secured card at a credit union and put up $2500 as the secured amount. We were unable to touch this money until we proved to the credit union that we were credit worthy. The credit union still “approved” us for the card - which seemed somewhat ridiculous at the time, after all, we WERE giving them our money. I do know a few former mortgage clients who were denied by their credit union so you still might want to have a bank credit card to fall back on. It took 2 years - that was the rule - and the credit union released the secured funds. So in the meantime, we built up 2 years of great credit history. We did also get a secured card from a bank, which has an annual fee, we only secured a small amount, $250 on this one. We still have it but the bank doesn’t offer it to anymore. The debate we have now is do we close it and let our score drop or keep it open and keep paying the annual fee. Decisions. Although Orchard Bank credit cards are the secured cards people are familiar with. Your local credit unions are other options for you to look at before deciding what you want to do. Just make sure you research your choices and think it through. Read more about Ways to Fix Your Credit Score. 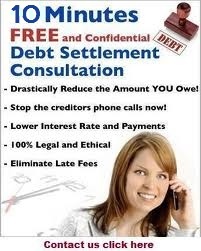 Copyright 2010 - Credit-Repair-Mom.com The information on this website is not intended or recommended as legal advice or credit counseling. All matters concerning credit should be supervised by a credit professional knowledgeable in this field. I promise to use it only to send you Credit Repair Report.